At it’s May 2018 meeting, MIFWA Board reviewed our strategy. The community mental health sector is managing unprecedented change. The introduction of the National Disability Insurance Scheme and the scale down of many existing federally funded programs, as well as economic constraints, has resulted in uncertainty about future funding. Our Board are confident about our position as a specialist NDIS provider, with our niche built on our experience working alongside people impacted by severe mental illness. We continue to experience a steady flow of people choosing us as their NDIS provider. One person at a time, we are making an impact. Our Boards confidence in our strategy is underpinned by the consistent feedback we have gathered and provided them, from a variety of stakeholders. Overwhelmingly our Board endorsed our continued strategy to build our expertise and reputation as a niche provider across Perth. MIFWA Board acknowledged the pressure the NDIS creates for our workforce and the instability it can mean for casual workers. They have set a challenge for our leadership team to grapple with the constraints set by the NDIS administrative rules and pricing and work with our workforce to optimise their experience. The key to our strategy is balancing cost restraints without compromising quality. The Board reinforced our strategy to sustain and build our foundational programs that offer short to medium term support to people and families impacted by mental illness. Our individualised approach, that fosters social inclusion, rebuilding skills, confidence and capacity and offers social connection. 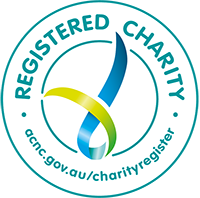 This includes activities promoted through membership of Lorikeet Centre, peer support for people in caring roles, services for parents and young people and the innovative peer based hospital to home program. Our strategy is set, we know that our experienced and carefully selected workforce including peers and our genuine, grounded, non-judgmental approach sets the foundation for us to thrive and continue to deliver on our mission.